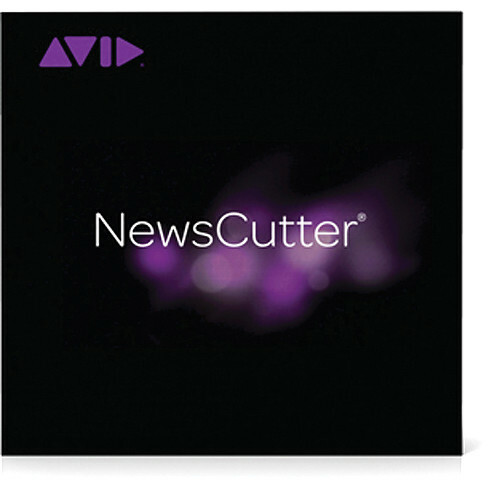 Media Composer | NewsCutter Option from Avid is a 50 pack of floating licenses for the education version of the NewsCutter option, a plugin that adds the functionality of the NRCS Tool - previously found in now discontinued NewCutter - to Media Composer for Windows. This license requires you be registered with Avid as a student, teacher, or educator and that you have an Avid Floating License Server connected to your network to distribute the floating licenses. Additionally, if you have an existing Floating License Server you will need to supply your Floating License Server's System ID when purchasing. The NRCS Tool opens an iNEWS or ENPS interactive session within Media Composer. With this, editors can view rundowns and scripts and edit video to scripts by dropping selected or pre-selected (based on locaters created in iNEWS) text directly to the timeline. Clips are pre-timed to reporter's read rate. The The NRCS Tool is designed to improve, simplify, and speed up story creation between journalist and editor, and features full functionality with Asian-language scripts. Additionally, it allows you to send mail within iNEWS workgroups.